The 2017 Toyota Avalon is a top-shelf sedan for the full-sized segment that is generally the bar against which others are compared. Although the Avalon hasn't seen a significant upgrade since 2013, it's held its own very well against newer rivals thanks to its basic tenets of excellence. The Avalon is roomy, made with quality, quiet to ride in and ergonomic. The Avalon is equally at home around town and on long highway trips, even when all five seats are filled. The Hybrid model is even more useful, with its segment-topping fuel economy and excellent drive dynamics. For the 2017 model year, the Avalon now has driver assistance and safety features such as adaptive cruise control, lane departure warning and more as standard equipment. Safety features once optional, such as forward collision warning, pre-collision braking and lane departure intervention are also now standard issue. The 2017 Toyota Avalon has a look that grows on you, becoming more sophisticated as you see it. The basic look is that of an executive sedan, with a saloon style incorporating a relatively long hood and a clipped rear deck. The 2017 Avalon has a wide intake below the Toyota symbol and thin grille. Bird-shaped headlamps flank the grille and a tapering hood with a simple set of lines forming light humps at either edge are the adornments for the front end. A raked windscreen, sturdy-looking pillars and a coupe-shaped roofline end in the fastback rear with its clipped trunk lid. The sides of the Avalon are simple panels with an accented beltline and a hint at a running board. Spoked alloy wheels are the norm, accenting the chrome finishes on the doors of many models. This simple styling brings out an upscale less-is-more appeal that carries well with this big sedan. Among the full-sized sedans on the market today, the 2017 Avalon has a decidedly upscale interior at the base level on up to the premium trims. Materials quality is very good and soft-touch leather and leatherette are found throughout. What's more, the Avalon's interior is roomy, comfortable and very ergonomic. Entry and egress are made easy thanks to wide door openings, low sills and comfortable seat heights in both the front and rear. Seating for five is realistic in the Avalon. The front seats are accommodating and adjustable, no matter the trim point, and the large center console is well-positioned to act as both storage and arm rest. The rear seats are similarly comfortable, with plenty of room at the hips and shoulders. The seats are well-positioned for thigh support so that even the tallest passengers will not likely find an uncomfortable knee bend back there. Despite the coupe-like roof, headroom is also good in the Avalon. Visibility while driving is very good, especially when compared to other sedans with their large pillars and short windows. There are 16 cubic feet of trunk space for cargo and split-folding rear seats are standard. The Hybrid model reduces trunk space a bit, but is otherwise the same. 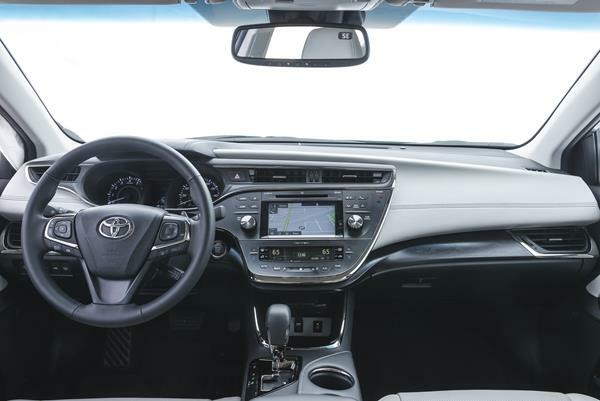 Where the 2017 Toyota Avalon lags the competition is with its infotainment. Although the standard Entune touchscreen (7-inches) is excellent, with crisp graphics and fast response, it's offering falls short of others who have more up-to-date and tech-savvy inclusions such as Android Auto and Apple CarPlay. Navigation in the Avalon, if equipped, is a little clunky to use as well. For those who aren't in need of heavy-duty apps, the Toyota Entune system included in the 2017 Avalon is probably more than adequate and is very simple to learn and use. The 2017 Toyota Avalon has two options: the standard V6-powered car and the Hybrid model. Fuel economy is both is excellent for the segment and real-world numbers closely match the EPA's estimates. The standard 2017 Avalon is rated at 21 mpg in the city and 30 mpg on the highway. The Avalon Hybrid is rated at an impressive 40 mpg in the city and 39 mpg on the highway. Toyota's upholding of its reputation for quality and reliability is thanks in part of the consistent performance of the Avalon. 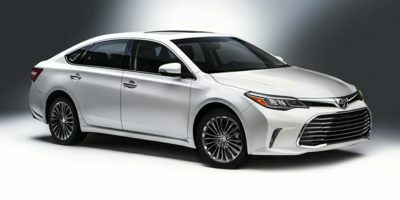 The current-generation Avalon has been on the market since 2013 and the 2017 Toyota Avalon is expected to keep its high rating. The J.D. Power and Associates Vehicle Dependability Study ranks the Avalon as "Better Than Most" on its five-point scale. There have been no recalls for the 2017 Avalon as of this writing. The Avalon achieves top marks in crash testing. The 2017 model has a National Highway Traffic Safety Administration (NHTSA) 5-Star overall crash test rating and received four and five stars on all crash tests. The Insurance Institute for Highway Safety (IIHS) gives the 2017 Avalon top marks as well, with a Top Safety Pick rating and perfect "Good" scores on all testing. The only bad mark on the Avalon's testing was its headlights, which received only a "Marginal" score, preventing the car from getting the "Plus" designation. There are two powertrain options for the 2017 Avalon. 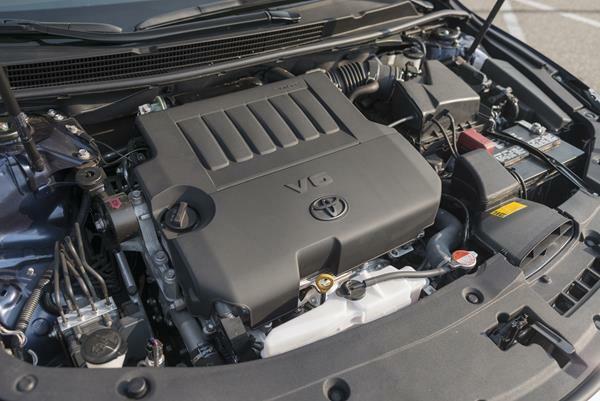 The standard option is a 3.5-liter V6 that outputs 268 horsepower and 248 pound-feet of torque through an automatic transmission in front-wheel drive. This is a confident, well-mannered setup that doesn't disappoint. It's not muscular or powerful like some rivals, but it's no slacker either. The 2017 Avalon Hybrid has a gasoline engine and electric motors that output a total of 200 horsepower to the front wheels. A continuously variable transmission (CVT) provides smooth transitions from electric to combined engine power and moves the car nicely. The Hybrid model feels more peppy and faster on the uptake thanks to the immediate torque delivery from the electric motor. It's also smooth-running on the highway thanks to a better weight balance due to battery placement underneath the rear seats. Around town, the Avalon is maneuverable and easy drive with confidence. On the highway, either drivetrain offers a solid feel and good passing power without struggle. The 2017 Avalon is an excellent value proposition in most of its trims. With a smart base price for value buyers and an even better offer at the mid-grade, the 2017 Avalon is an excellent option in the full-sized sedan market. We especially like the XLE Plus and Touring packages for their bang for the buck. Expect to pay $35,000 to $38,000 for these trims. Similarly the 2017 Avalon Hybrid model is a great buy. 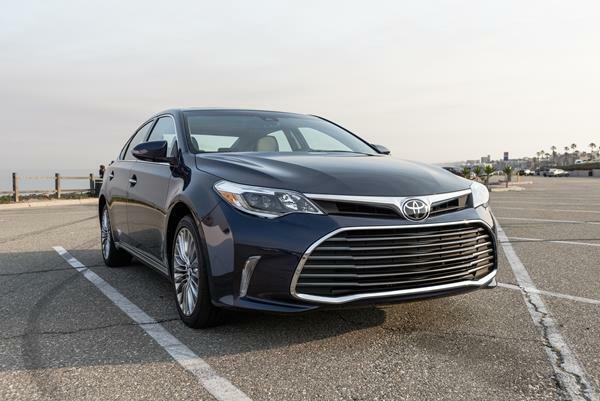 For those who are fuel-conscious, the cost-benefit of the Hybrid is excellent when compared to both the standard Avalon and the competition. Adding 10 extra MPG for just a couple of thousand dollars is a boon. Plus the Hybrid model drives better overall. 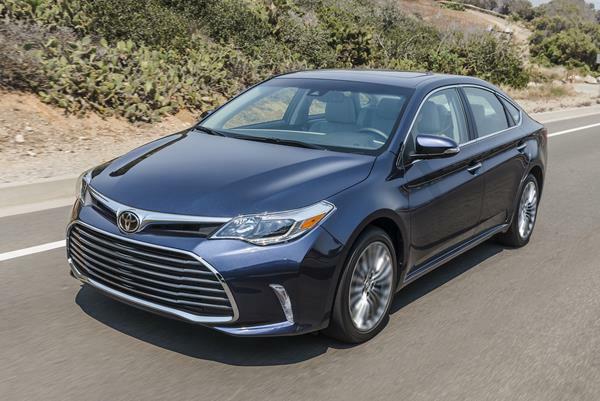 Resale values for the Toyota Avalon are slightly above the average for the segment. Buyers can expect their Avalon to hold value fairly well. The large sedan segment has several good contenders, but the 2017 Avalon sets the benchmark on most fronts. The most competitive with the Avalon in terms of all-around excellence is the Kia Cadenza, which has a solid look and excellent interior but lacks a competing hybrid model. The Chevrolet Impala is likewise a big sedan with an executive appeal, but a bit lackluster in its value proposition at the lower trims. The Chrysler 300 is a big, beautiful vehicle with a lot of style, but may not appeal to all buyers. The 2017 Toyota Avalon and Avalon Hybrid are excellent options for the full-sized sedan market. They should be at the top of most buyers' lists and should make the benchmark against which others are compared to. The Avalon is that good. 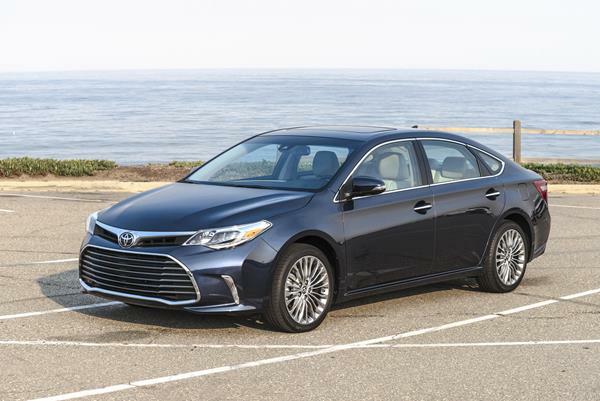 Interested to see how the 2017 Toyota Avalon ranks against similar cars in terms of key attributes? Here are the 2017 Toyota Avalon rankings for MPG, horsepower, torque, leg room, head room, shoulder room, hip room and so forth.